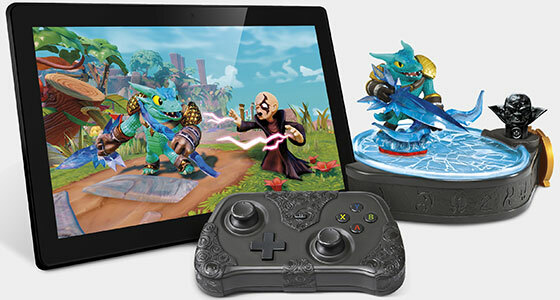 Just announced today is a fully fledged tablet version of Skylanders: Trap Team, developed by Vicarious Visions the new tablet starter pack contains the same figures and traps as the regular console starter packs but it also contains a bluetooth version of the Traptanium Portal of Power and a custom bluetooth controller. The game looks and plays almost exactly like the console versions but you have the option to use the included bluetooth gamepad or the touchscreen controls. To make it even more portable if you don't have the Portal of Power turned on you can use two digital "Instant" versions of Snap Shot and Food Fight to allow you to keep playing even without any toys around. 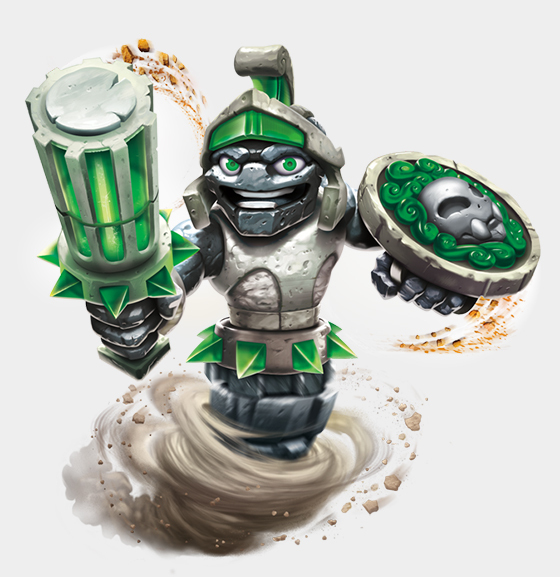 To see footage of the game in action on a tablet check out videos by The Skylander Boy and Girl, FamilyGamer TV and Coin-op TV. The tablet version will be released at the same time as the regular editions, October 2nd in Australia, October 5th in North America and October 10th in Europe. 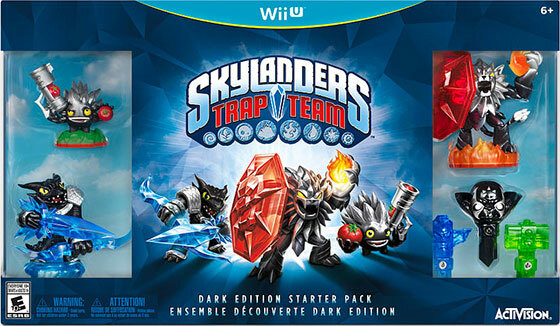 Just like last year a brand new Dark Edition has been revealed for Skylanders: Trap Team. 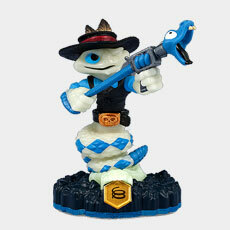 The focal points this year are the three Dark Skylanders and the "Ultimate Kaos Trap" included. 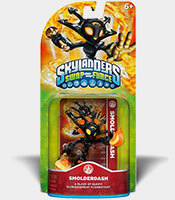 The three Dark Skylanders are "Dark Snap Shot", "Dark Food Fight" and "Dark Wildfire". 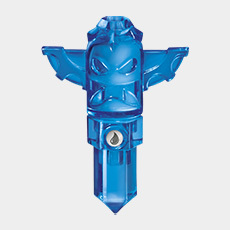 The pack also contains three traps: the same two "Life Hammer" and "Water Tiki" as in the regular Starter Pack but also an "Ultimate Kaos Trap" which is needed to capture and play as Kaos himself. Toys R Us has the Wii U version of the Dark Edition Starter Pack listed for $99.99, which means it's $25 over the cost of the regular Starter Pack for one extra Trap Master and one extra Trap. The Dark Edition will be available for Xbox 360, Xbox One, PlayStation 3, PlayStation 4, Wii and Wii U. While a few of the images are a bit blurry they do all appear to be pretty much finalised toy designs (except for Head Rush) as compared to a similar listing last year which was mostly rough concept artwork. Keep in mind that as these are still early listings some characters and items may have their names and designs changed before release. 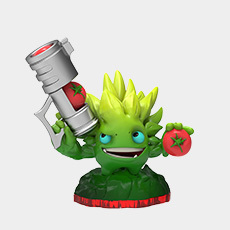 As well as the many single pack listings there are two triple packs in the leak, one containing Torch, Blades and Gill Grunt and the other with Chopper, Funny Bone and Shroomboom. Thanks to forum member wreckingballbob and VampireCat2201 for spotting the listings. 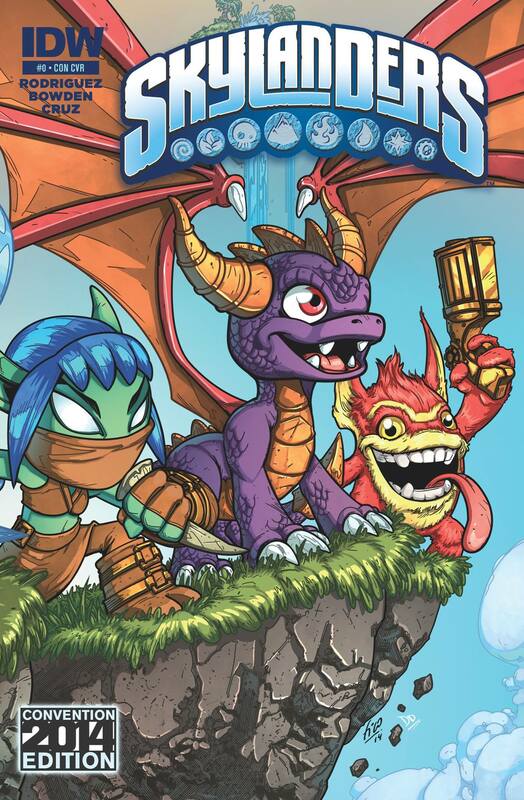 The Comic-Con exclusive cover for issue #0 of the upcoming Skylanders comic-book series has been revealed. The issue will be released at San Diego Comic-Con which runs from the 24th of July to the 27th, limited to 700 copies. Skylanders Trap Team will also be at San Diego Comic-Con showing off the game and hosting a panel called "Skylanders: The Creative Process of Bringing Toys to Life" which will also feature a costume contest with more than $5000 in prizes to be awarded ($4000 to the winner, $1000 to the runner up and a collection of rare Skylanders toys for the 2nd runner up). Panel speakers include comic book writer Ron Marz (Green Lantern, DC vs. Marvel), famed voice of Kaos Richard Horvitz (Invader Zim, Billy and Mandy), Activision's Senior Vice President of Consumer Marketing, John Coyne, and Toys for Bob's Director of Toy and Character Development, I-Wei Huang. The panel will be on July 24th at 6PM. 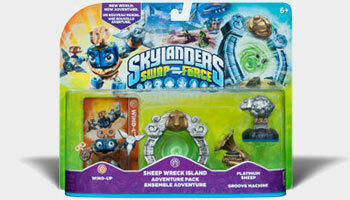 Skylanders Lost Islands continued with June's Air theme and started an Earth theme for July. June 9th: New Troll Lockup (200 Gems) and Golden Shear (175 Gems) upgrades and the introduction of a 5000 Kudos tier for the Molekin Market. June 16th: Nitro Freeze Blade arrived and a new Windmill premium community building that costs 700 Gems was added. June 23rd: Following the pattern set in May an Air Toy Link Tower that gives out gems every four hours on Air Element Days, with an initial cost of 25 Gems, was added. The Air Sanctum briefly became available to buy if you missed the quest (1200 Gems) and Buttered Pop Thorn's Hut also briefly became available through a paid gem pack. June 30th: Kickoff Countdown was added. July 1st: Sundae Slobber Tooth became the Wishin' Well Alter Ego for July kicking off the Earth themed month. A July 4th weekend sale temporarily had Buttered Pop Thorn's Hut on sale for 350 Gems along with various other offers and discounts. July 7th: Doom Stone was finally added and the quest for the upgraded Earth Sanctum began. 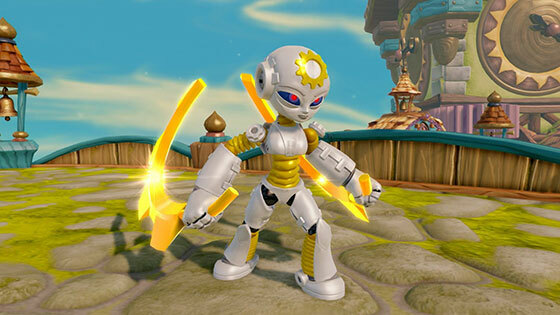 A brand new Trap Master for Skylanders Trap Team has been announced, Gearshift is a Tech Skylander who uses a Traptanium gear as her weapon of choice. She will initially only be available at launch by pre-ordering her, you won't be able to find her on a shelf until sometime in 2015. So far only Amazon.com have put up their pre-order page, and they've priced her at $14.99. E3 2014 is on next week (June 10th-12th) so keep an eye out for even more news and reveals soon! 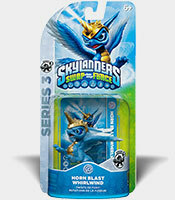 Skylanders Lost Islands has completed its Life themed month of May and kicked off June with an Air theme. 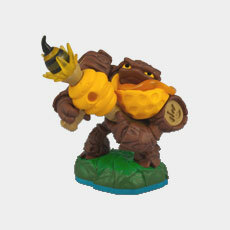 May 19th: New companion Duff who gives you a chance for trees to drop a chest when you clear them, he costs 150 Gems. 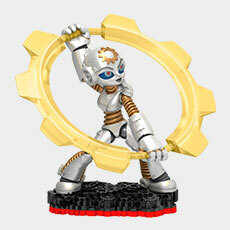 May 26th: A new Life Toy Link Tower that gives you better rewards the more Life Skylanders you have linked to the game. It costs 25 Gems and will reward you with coins or gems (on a Life day) every three hours. June 1st: The Air themed month of June kicked off with a new Alter Ego, Buttered Pop Thorn added to the Wishin' Well. June 2nd: A new timed quest to earn an upgrade to your Air Sanctuary, the Air Sanctum, has begun and the Bird House has made a return for the week. Two more small islands appeared, one for people with kingdoms at level 44, Chompy Island, which costs 40 million coins and one for those who've managed to reach level 45, Greeble Island, which costs 50 million. 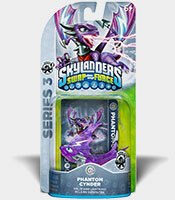 In February Frito-Lay unveiled three new Skylanders and began a contest to give a name to one of them. 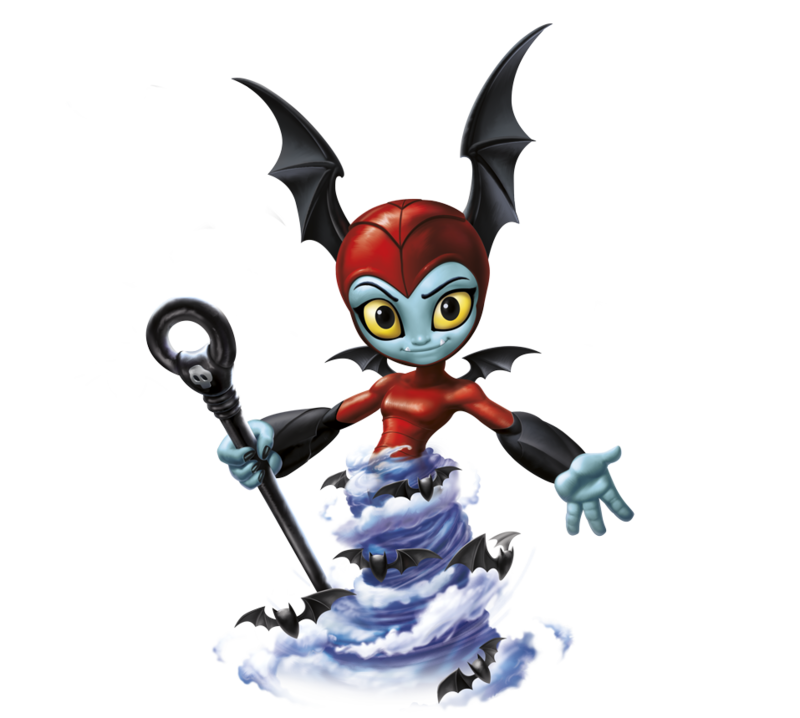 Today the top entries for each of the three Skylanders have been revealed and you can now vote and decide which one is your favourite. 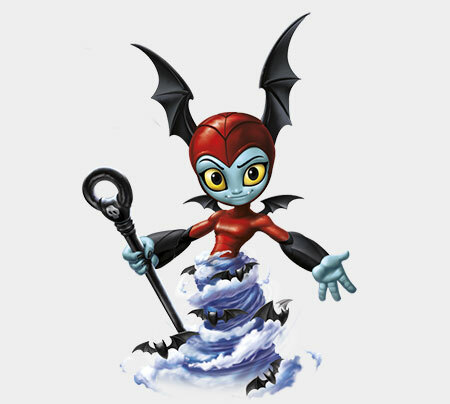 Bat Spin is a witch from the underworld. 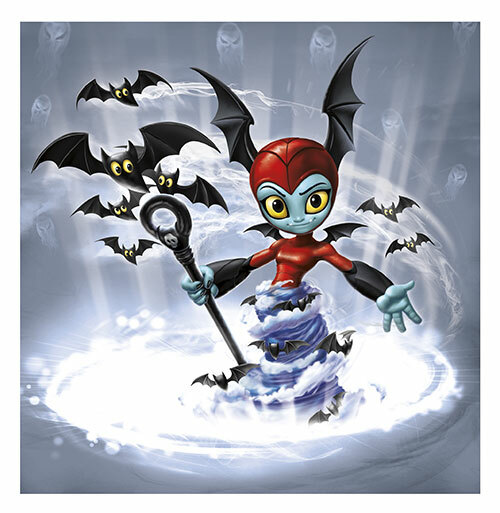 One day, trolls came to the underworld so Bat Spin had to save the underworld's people and she did. Afterwards, Eon asked her to join the Skylanders. You can vote for your favourite once per day if you like, the voting period runs until the 13th of June when the votes will be tallied and the winner decided (although we'll have to wait a bit longer for it to be announced). 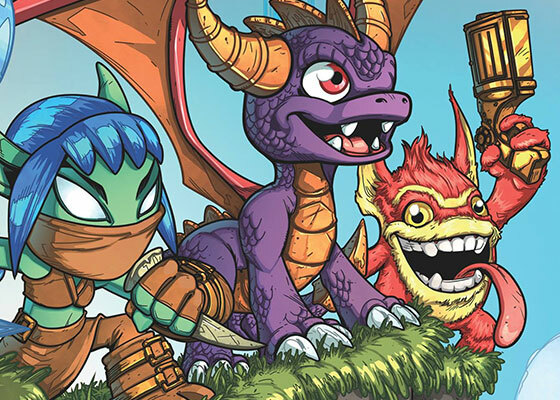 A brand new Skylanders comic-book series is on its way, set to debut in July at the San Diego Comic-Con the first issue will be a prequel to Skylanders Trap Team. It'll give back story to a few favourite characters and a first look a some of the brand new characters from the upcoming game. In conjunction with Activision, IDW Publishing is proud to announce the first-ever Skylanders comic-book series, penned by renowned comic-book writer Ron Marz, and Mike Bowden and David Baldeon as lead artists. 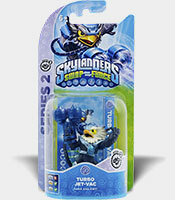 In the world of video games, Skylanders is a global phenomenon and the best-selling kids' game franchise since its launch in 2011. Now fans have the opportunity to follow the adventures of all their favorite characters from Skylands through the magic of comic books. The videogame sensation is making the leap to the pages of comics this July, debuting at Comic-Con International: San Diego 2014. 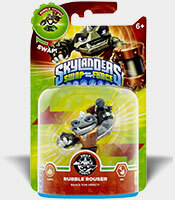 Skylanders #0 features an introductory 16-page story as well as character guides and additional back-up information. The issue will be launched in both print and digital during SDCC weekend. 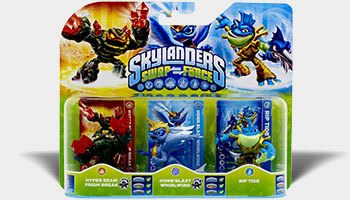 The writer, Ron Marz, has previously written for Skylanders Swap Force. For an exact date this year's San Diego Comic-Con runs July 24th-27th. In toy news, Kickoff Countdown has been given a solid release date, it's due out this Sunday at Toys R Us stores in the US and at "retailers worldwide the following week". The final Swapper, Doom Stone, was also released this week in the US and the UK. 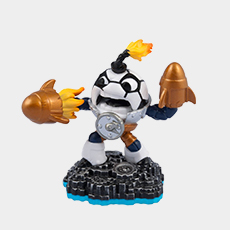 Kickoff Countdown is an in-game variant who will appear exactly as the toy looks when you play with him. He also unlocks a special hat for your collection. Doom Stone's release means that it is finally possible to make all of the 256 different combinations, something that forum member GameMaster78 has really taken to heart. 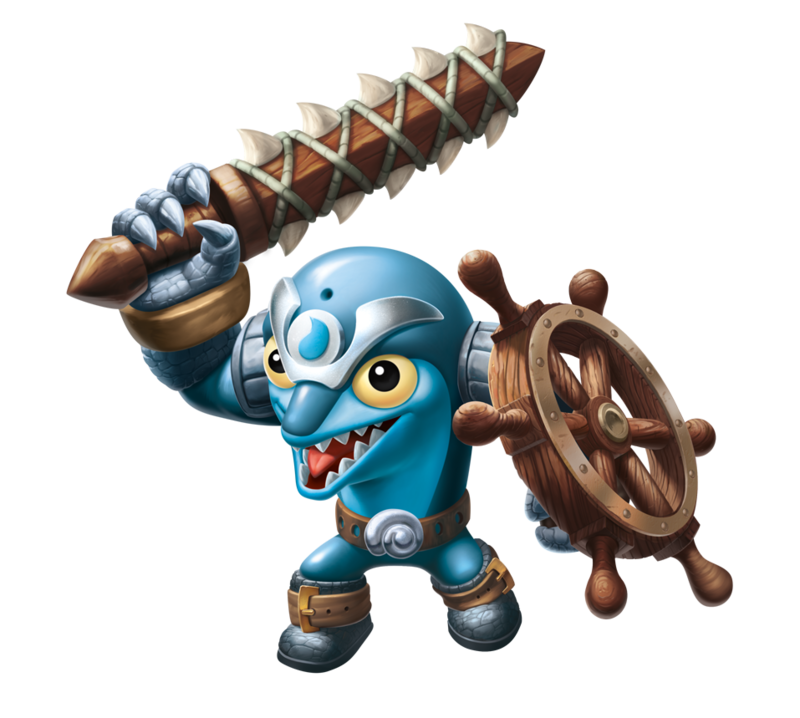 And now another round-up for the Android and iOS game Skylanders Lost Islands where they've made May a Life themed month. 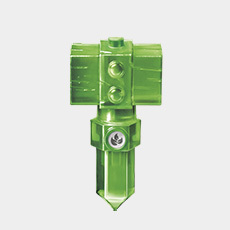 April 21: Springtime Trigger Happy became available without the toy. Beatrees began collecting from the Sheep Topiaries in addition to the Energy Fields she usually does. May 1: Brand new Alter Ego "Builda Grilla Drilla" arrived in the Wishin' Well. May 6: A long timed quest to earn an upgraded Life Sanctuary, the "Life Sanctum", began and a new tiny island, "Sugarbat Island", appeared. At level 43 you can buy the island for 35 million coins. May 12: A new feature was added, now plants will randomly grow on your islands. You can spend gold to clear them away and they'll sometimes drop gems or energy along with their regular kingdom xp. 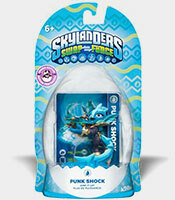 And Punk Shock was added to the store along with a permanent way to add any Skylander by their code. 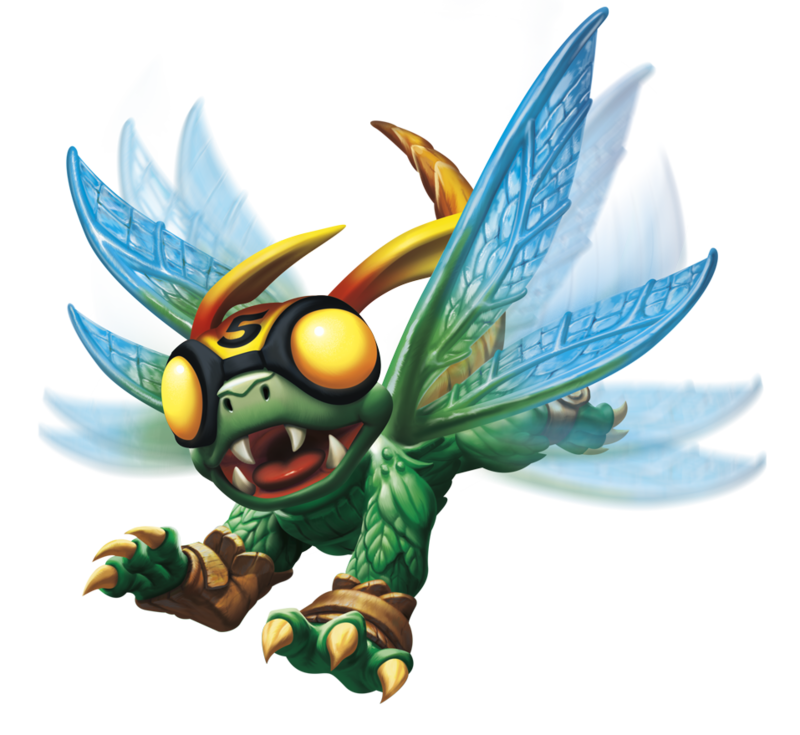 Ending months of speculation Activision have finally unveiled the fourth entry to the Skylanders series: Skylanders Trap Team. 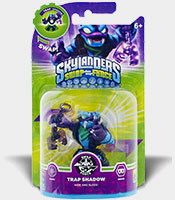 The game features new "Trap Master" Skylanders and a new Traptanium Trap toy for capturing and then taking control of villains from the game. To capture a villain in Trap Team you must first defeat them, once you've done that you place a Traptanium Trap (with an element matching the villain) in the slot on the new Traptanium Portal and the villain is yours. You can then summon that villain back into the game at will and play as them on your own side in the fight against evil. According to the story of Trap Team Kaos has discovered the location of Cloudcracker Prison and has blown it up to free the nefarious baddies housed within, he's done this to use them as his own personal army to takeover Skylands. It's up to the Portal Masters to find the Traptanium Traps that had previously made up the prison in order to recapture the villains and save Skylands from Kaos' evil plans once again. 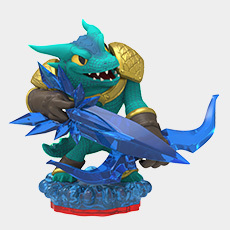 There will be sixteen brand new Trap Master Skylanders, these characters are slightly larger than the core Skylanders and wield mighty Traptanium weapons that help in the fight against the villains of Trap Team. 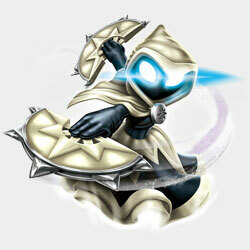 The Trap Masters can also find Traptanium shards as well as enter Traptanium zones to find hidden villains. 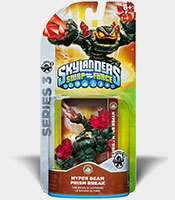 There are also eighteen new core Skylanders, like Food Fight above, and more reposed returning favourites such as Gill Grunt and Shroomboom. The new Traptanium Portal has a single slot for a Traptanium Trap and most notably also features its own speaker for the villains to talk to you through giving you a greater sense that the villain you've captured has really been brought out of the game and into this world. A box of fifteen different styles of Traptanium Traps was seen in the trailer below, each one has an element assigned to it which means that you can only capture specific villains with each Trap. So for example if you're facing the Tech villain troll duo that makes up Shrednaught you'll need a Tech Trap to capture them. You will be able to house multiple villains in each Trap so despite a reported total of 40 villains in Trap Team you won't quite need that many Traps to catch 'em all. 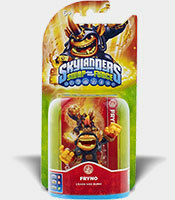 The Starter Pack comes with the Trap Master Skylander Snap Shot, the core Skylander Food Fight, the Water Tiki Trap, the Life Hammer Trap, the new Traptanium Portal as well as the usual stickers, cards and poster that you'd expect. Trap Team is once again being developed by Toys for Bob, the original developers of Skylanders: Spyro's Adventure and Skylanders: Giants. They will be handling the PlayStation 3, Xbox 360 and Nintendo Wii versions of the game while Beenox will be on the PlayStation 4, Xbox One, Wii U and Nintendo 3DS versions. The game is set for release on the 5th of October 2014 in North America, the 10th of October in Europe and the 2nd of October in Australia/New Zealand. 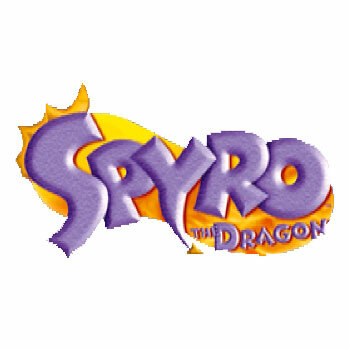 Many media outlets have articles and videos on the reveal including Game Informer, IGN, GameSpot, Joystiq, Kotaku, Engadget, Polygon, Games Radar, Forbes, The HD Room, Connected Digital World, Family Gamer TV, The Skylander Boy and Girl and Coin-Op.tv. We also have our own gallery full of images on this very site. 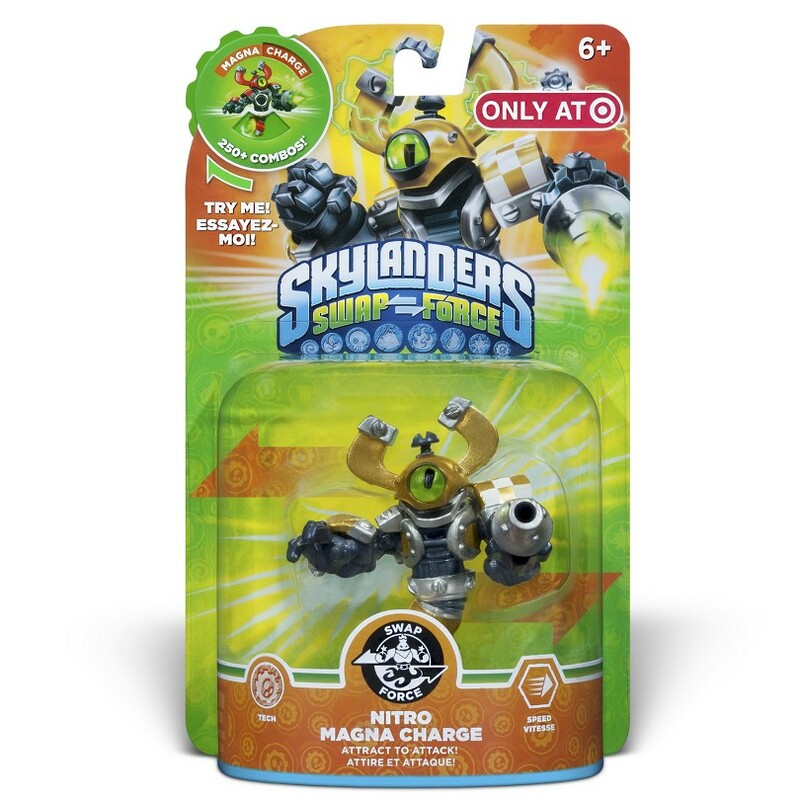 And lastly in Swap Force news, Toys R Us have emailed out a Hot Toy Alert for Lightcore Bumble Blast giving him a release date of this Saturday, the 26th of April. 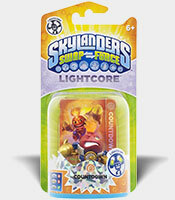 They'll also have various other offers on the day in store including one for a free Lightcore Hex figure when you buy a Swap Force Lightcore figure. Because everyone needs another Lightcore Hex. 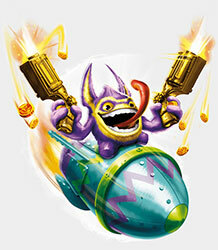 On Wednesday the 23rd of April Activision will be revealing the next Skylanders game at a special press event. 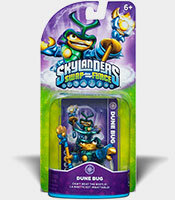 In a separate event for the regular fans on the same day they will also be giving away 500 free Doom Stone figures at the Times Square Toys R Us store in New York, Doom Stone being the last remaining unique character still to be released for Skylanders Swap Force. Activision Publishing, Inc. and Toys"R"Us are giving fans the rare opportunity to receive a complimentary Skylanders toy at a special Toys"R"Us Times Square event celebrating Skylanders Day! 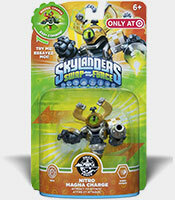 Before the final Skylanders SWAP Force character, Doom Stone, is released to the public, the first 500 Portal Masters to line up at The World's Greatest Toy Store on Wednesday, April 23, will be among the first to get their hands on this must-have figure. 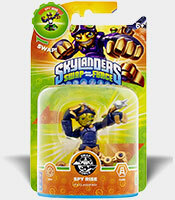 Last year had a similar event with Ninjini at the time of the reveal of Swap Force and saw the regular release of Ninjini around a month later, which hopefully bodes well for those of us who can't make it to New York. A listing for one of the two remaining alt-deco figures from Swap Force, Kickoff Countdown, has been spotted on a couple of European Amazon websites along with a few different release dates including the 14th of May. 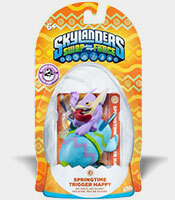 Target in Australia are giving away 25 limited edition flocked Springtime Trigger Happy toys. 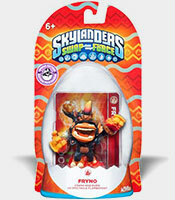 To be eligible to enter you must spend $30 or more on Swap Force gaming products, you then need to answer the question "Why would you like to add Limited Edition Trigger Happy to your Skylanders collection?" in 25 words or less and the best 25 answers will win the figure. The promo runs until the 30th of April. 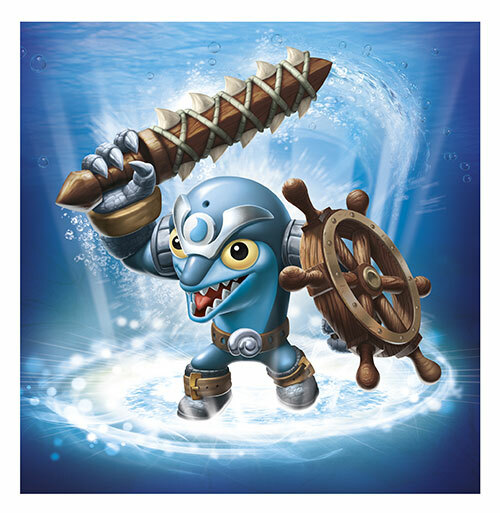 And Skylanders Lost Islands has been getting into the update spirit again over the past few weeks with things like an increased level cap, new islands and a new companion. 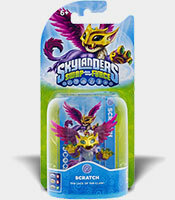 March 17: Fryno and Scratch became available for purchase with gems or using the Skylander spinner. March 24: A new Adventure Clock building that lets you instantly finish all active Adventure Balloons. The building costs 500 Gems, you can use it once every 24 hours and it costs 250 Energy per active balloon. April 1: The kingdom level cap was raised from 40 to 45 and a new small island called "Sheep Island" now becomes available for purchase at level 41, it'll cost 25 million coins once you're there. April 7: A visual upgrade to the Summoning Stone. It costs 15 million coins and ups the amount you get from Orville each day to 2,500 coins. April 14: New companion Willowbark who costs 200 Gems and doubles the XP bonus effect of your decorations. And another small island called "Troll Island" that becomes available for purchase at level 42 for a sum of 30 million coins. Toys R Us have emailed out a Hot Toy Alert for the new Wave 4 Swappers. 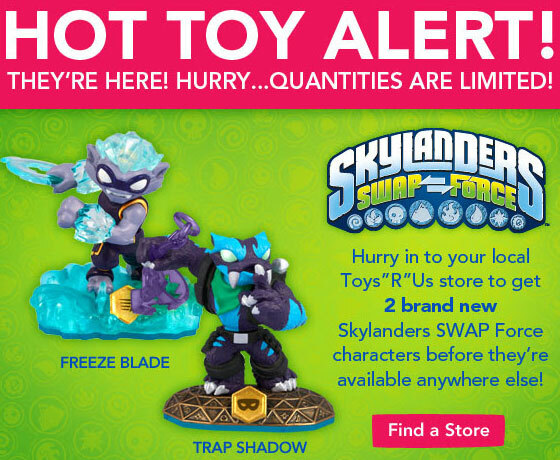 That means you should be able to find Freeze Blade and Trap Shadow at a Toys R Us near you (provided you live in the US)! And Enchanted Star Strike is also now beginning to turn up exclusively at US Walmarts. 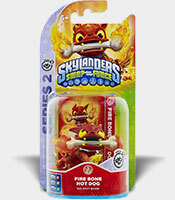 The beginnings of Wave 4 are trickling in with findings of newcomers Fryno and Scratch as well as the last two of the older reposed characters Fire Bone Hot Dog and Turbo Jet-Vac. So far these have only been found in Walmarts but they're not going to be exclusive in the long run. 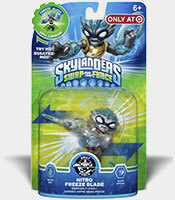 In Canada there have been sightings of Freeze Blade and Trap Shadow at EBGames. Again this won't be an exclusive. 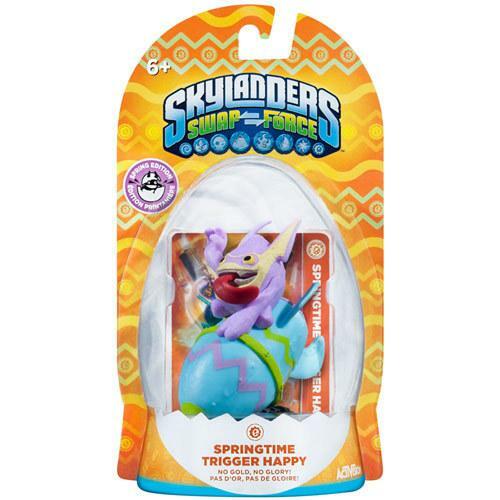 And, provided the date holds this time, the UK will see release of the special Spring Edition packaged Springtime Trigger Happy, Punk Shock and Fryno this Friday as well as Enchanted Star Strike, who will be exclusive to GAME. 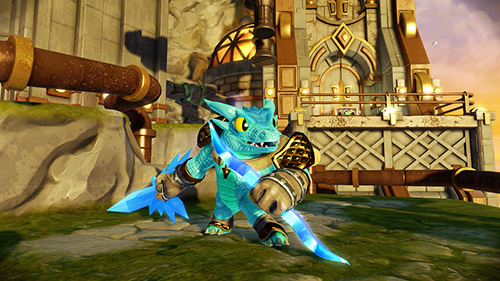 In their first content update of the year Skylanders: Lost Islands adds a new companion and a couple of new Skylanders. The Chieftess is a brand new (or, rather, old) companion, just like Hyde and Maboo you need to find her wandering around your kingdom each day in order to tap on her, she'll give you a load of coins for doing so. You'll need to spend 200 Wishstones to get her. 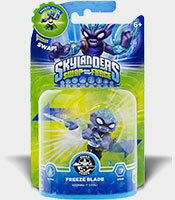 Two new swappable Skylanders, Freeze Blade and Trap Shadow, have been added. You can buy them for 300 Gems each or take a spin (remember that you get Gem refunds if you use the toy later but not coin refunds from spins). The Frito-Lay naming competition has officially begun and has revealed the three brand new Skylanders that have been lined up for you to name. 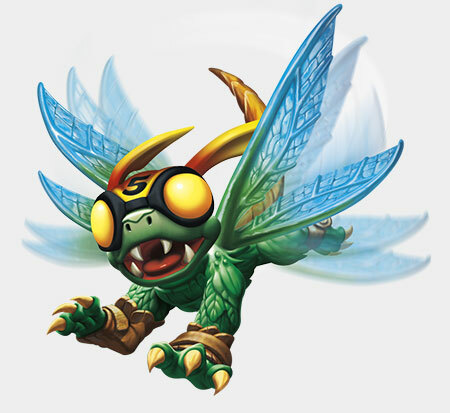 Once you've entered your details you'll be asked to name one of the three and to give some background on the Skylander, who they are, why they've got that name and why you chose to name them. 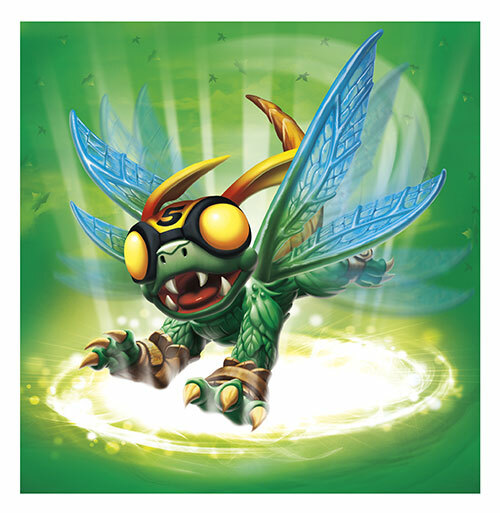 You're not limited to just naming one though, you can name all of the characters and can even submit different names and backgrounds for the same Skylander. Take care not to submit the exact same name for the same character more than once though. The competition is only open to residents of the United States who are 18 years or older, if you're not old enough then perhaps try getting an older relative to help. You've got a little bit of thinking time but don't take too long as you only have until March the 21st at 11:59:59 AM Central Time to submit your entries before the competition closes. The finalists for each Skylander (as decided by the judges) will be revealed around April 21st and then from the 19th of May to the 12th of June online voting will be run to select the best of the three names to win the grand prize of "a $100,000 scholarship in the form of a check" as well as to make the name official. The other two finalists don't go away empty handed though and will each get a "Skylanders prize package" with an approximate retail value of $1000. 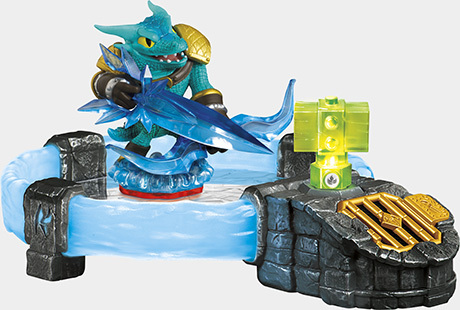 Although last week's Toy Fair didn't bring us a reveal of Skylanders 4 a few other possible new Skylanders were accidentally revealed by Mega Bloks in promo photographs of upcoming sets. Due to the nature of the reveal it is unclear whether they are actually all playable characters (or even if any of them are) and no names were directly attributed to them. Skylanders fans in the UK may be interested in the Skylanders SWAP Force Spectacular event that is currently running at the National Media Museum in Bradford. The event started on the 22nd of February but runs through half term to Sunday the 2nd of March so there's still time to go. It is free entry but you'll need to reserve your place in advance for a couple of the activities. 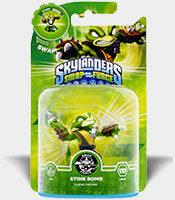 Thanks to Skylanders Dad for spotting this one. And finally, in Swap Force toy news, Enchanted Star Strike has been spotted in several Canadian Walmarts over the weekend. 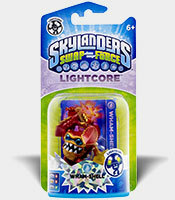 Enchanted Star Strike is an in-game variant of Star Strike who also happens to be LightCore. She'll be exclusive to Walmart in the US much like Enchanted Hoot Loop. 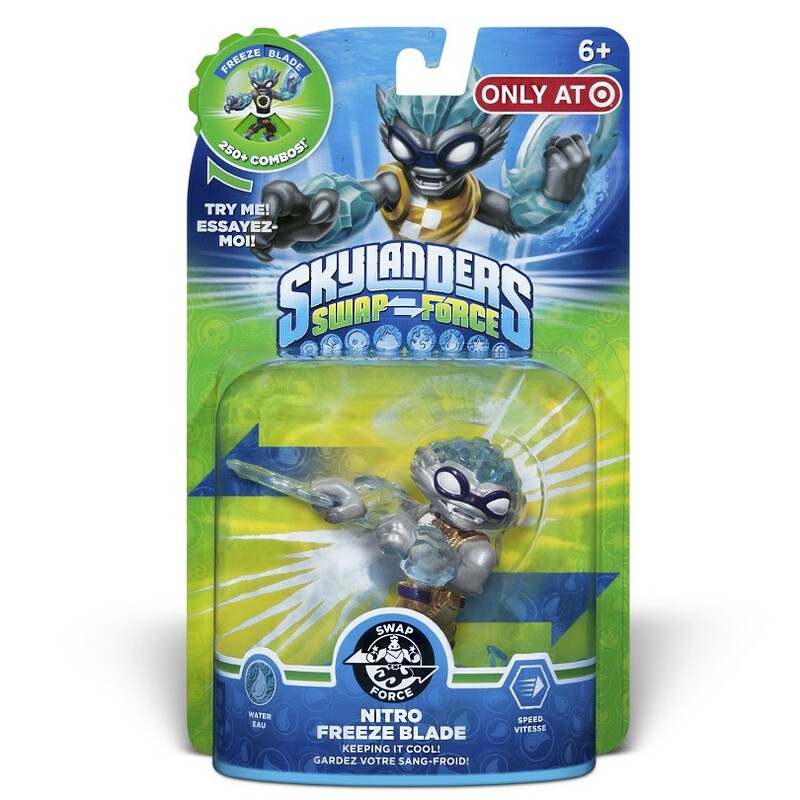 Another upcoming release has been unveiled, on the 23rd of March Nitro Freeze Blade is due to be made available exclusively at Target. Forum member star kitty spotted listings for a single pack of Nitro Freeze Blade as well as a single pack of Nitro Magna Charge for the first time. These look to be arriving two weeks before the Easter themed packs, although in the UK Amazon have given those three a release date of the 7th of March. 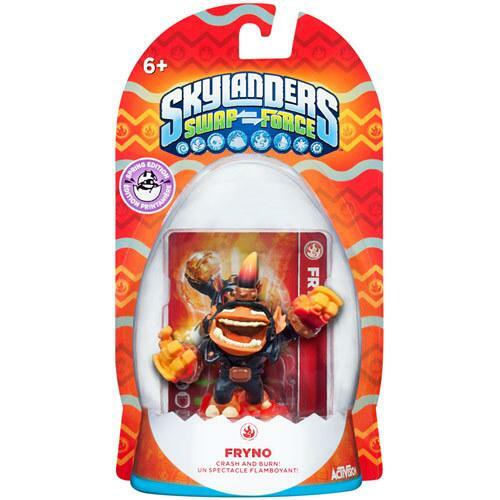 Frito-Lay are gearing up to launch a new Skylanders promotion, this time instead of simply winning a toy Skylander you'll get the chance to actually name one. There'll be a choice of three Skylanders who are each in desperate need of a name, the grand prize for the best name is a $100,000 scholarship. The promotion is due to start on the 24th of February. And some perhaps disappointing news on the next game announcement front, GamerHub.tv have posted a short interview with Activision Publishing CEO Eric Hirshberg where he seems to confirm that they won't be announcing a new Skylanders game at Toy Fair this year, instead waiting for "later in the year" to reveal it. So it's still coming this year and still being made by Toys For Bob but we'll have to wait a bit longer to find out what it is going to be. Forum member Diggeh has spotted that Best Buy have posted pre-orders for several new characters in special "Spring Edition" egg shaped packages. 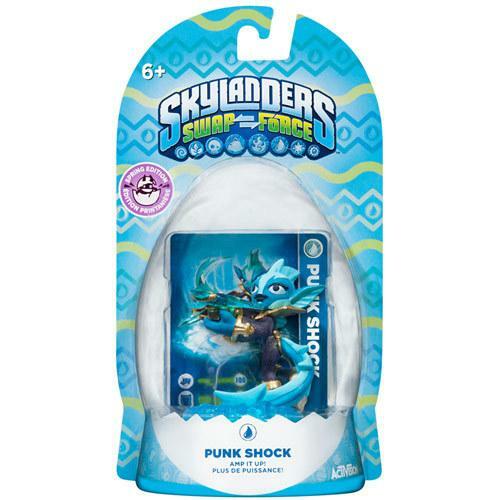 So far only Springtime Trigger Happy, Punk Shock, and Fryno have been revealed as part of this wave but it is unclear if this is going to be the entire selection of Skylanders in the wave or if these are just the first few. They're due for release on the 6th of April, which is still an agonising two month wait away. 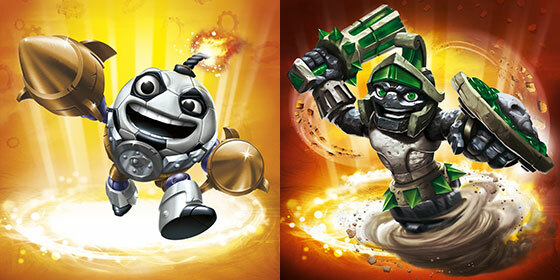 Springtime Trigger Happy is an in-game variant, much like Jolly Bumble Blast, who not only looks different to the regular Big Bang Trigger Happy but he will also unlock the Springtime Hat in your collection once you place him on the Portal of Power. 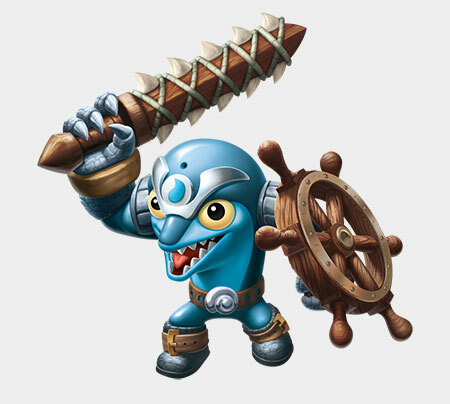 With the annual American International Toy Fair happening on the 16th-19th of February we should be expecting news of the next entry to the Skylanders series any day now. Curse are exclusively giving away half a million beta keys for The Elder Scrolls Online. Curse Premium members can get access to the keys today and everyone else from tomorrow (the 6th). The giveaway and beta period only lasts until the 10th of February so act quick! 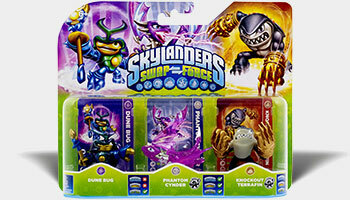 The first stages of Wave 3 of the toys for Skylanders SWAP Force are starting to hit shops, the five new core Skylanders toys hit Toys R Us yesterday in the United States. Here's what makes up the rest of Wave 3, they're not quite yet available in the US but are already available in some other countries like Germany and Italy. The winners of the Frito-Lay sweepstakes for Quickdraw Rattle Shake are starting to report receiving their prizes so be on the lookout for it if you've won one (or more). Jolly Bumble Blast makes his festive debut. It'll be 250 Gems if you don't have the toy. A new SWAP Force House has been added, buy them for 350 Gems to put your SWAP Force characters in for the chance to earn Gold, Gems, Energy or Kingdom XP. Another new companion, Fiznik, he'll double the Kingdom XP you get for the rather pricey sum of 3000 Gems. And earlier last week they posted the regular Monday update. New companion Diggs who you can use to trade in large amounts of Gold and Energy for Gems once a day. He'll cost you 2000 Gems but is said to be only available until January 1st. 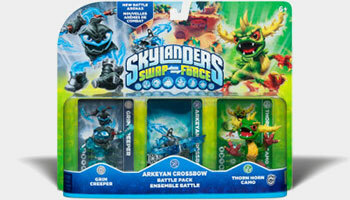 The Legendary Skylanders are here, all four of the new Legendaries from SWAP Force have been added. That's Legendary Night Shift, Legendary Free Ranger, Legendary Grim Creeper and Legendary Zoo Lou. A new system has been added so that Kingdom XP is still moderately useful after reaching the maximum kingdom level of 40. Your bar will again start to fill up as you gather it and will eventually give you some bonus gems and wish stones as a reward. The Skylanders Collection Vault also recently saw an update which allows you to now add characters to your collection even if you don't have their webcode.